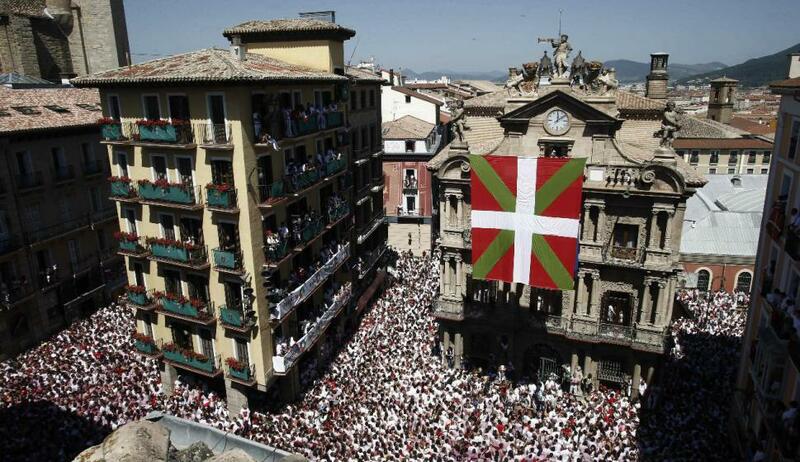 ACOM brings legal action against the City Council of Pamplona for discrimination. The City Council of Pamplona will have to answer in court for promoting discrimination against Israelis and the Spanish Jewish minority. ACOM continues with its successful legal actions to annul the agreements promoted by the radical left in local councils that seek to point out, demonise and exclude the Jews of our country. Last June the City Council of Pamplona approved an institutional declaration that sought to discriminate Jewish people and was a serious infringement of Spanish law. The signing of this municipal agreement makes the city of Pamplona “Judenfrei” territory. The declaration was approved with the votes of the radical groups EH Bildu, Geroa Bai, Aranzadi and Izquierda-Ezkerra, and the votes against it of Unión del Pueblo Navarro and the abstention of the Socialist Party. – and support the institutional declaration approved by the Parliament of Navarra and that was promoted by the BDS radical movement in November 2016 urging the boycott. Without a doubt, all these points marginalise a social group for their nationality and/or ethnicity or religion, publicly promoting the exclusion of the citizens of Israel in our country, which is manifestly unconstitutional. To make things worse, they also point out and discriminate against any Spanish citizen who has ties with the Jewish State, which targets the members of the Spanish Jewish communities, infringing on their civil rights. Israel is the only Jewish state in the world, the only democracy in the Middle East and the only country in the region with a consistent track record of respect for human rights of ethnic minorities, for the sexual orientation of every individual and for religious freedom. We should also point out that 20% of the Israeli population is of Arabic origin, and they would also suffer from the discriminatory measures the City Council of Pamplona wants to implement. The fixation of that City Council against the Jewish State, the home of half the Jews in the world, and only against that state and no other one clearly shows its anti-Semite nature. ACOM, reference group of the Spanish civil society that fights against the discrimination of Jews and the harassment against Israel and its citizens in our country, is determined to answer all of these attitudes and their illegality, in this case with a civil action seeking to annul said institutional motion. To praise the destruction of the State of Israel and limit the social and economic rights of its citizens, companies and friends goes against the essential values of our Constitution. The Spanish courts have already declared the illegality and unconstitutional nature of the BDS campaign. ACOM, the main denouncer of the discourse of hatred and/or discrimination because of ethnicity or nationality promoted by this movement, has won up to now 37 legal actions. All of them have insisted on the unconstitutional nature and illegality of these exclusive measures that break the common framework of coexistence.